Search Engine Optimization (SEO) of a website is broadly broken down into two parts. In this section of the SEO tutorial we’ll broadly introduce onpage or onsite optimization, how to optimize your web site for better search engine rankings with good Google rankings our primary goal. 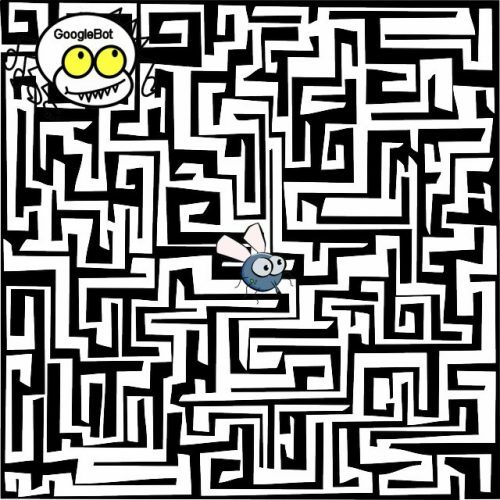 Imagine each webpage is the center of a huge maze Googles search engine spider (GoogleBot) has to find it’s way through via internal links, if there’s only one path to the center of the maze (that real deep webpage you want indexed) in amongst thousands of other paths, Google might never find the right path. Make it easy for GoogleBot and other search engine spiders to navigate your website, if a webpage is important give it multiple internal links and if it’s REALLY important consider a sitewide link (every page on the site links to the most important pages). Make your website more like a web (of links) rather than a maze of hidden webpages. You will also find the SEO Domain Name Tutorial article helpful in understanding how to name your new domains, directories and files especially the Why Hyphenated Domain Names section. Since this is a general SEO tutorial working on the principle the reader will be creating webpages one by one or have full control over how their website is organized. I run most of my websites (over 100 of them) using the free Content Management System (CMS) WordPress, see my full SEO Tutorial for WordPress Websites. If you are a WordPress user or use another CMS like Drupal or Joomla the CMS manages a lot of the site structure organization automatically. Before we discuss how to link your pages together you need to decide where to physically locate your webpages. There are many ways to organize a website including putting every file in the root of the domain to breaking up sections of a site into various directories (for a custom built site the latter is usually advisable, easier to maintain via FTP), from an SEO perspective it doesn’t make a great deal of difference. There is a common SEO misconception (not seen this SEO myth in forums for years) that pages in the root of a domain (website.com/web-page.html would be a web page in the root of the domain) will be ranked higher than webpages deep within the directory structure website.com/web/web-page.html will be one level deep). In fact it used to be believed by some SEO’s if you went too deep with your directory structure (over 4 directories deep – website.com/web-1/web-2/web-3/web-4/web-page.html) those web pages would not even be spidered at all by search engines (not true BTW)! The reason for this SEO myth is an artifact of common internal webpage linking structures, not directory structure per se. The directory structure tends to mimic the link or navigation structure of the site and if it takes at least 4 links to go from your home page to the deepest pages of your website some might be missed by the search engine spiders. What’s more those deep linked webpages will tend to have 1 or a very small number of unimportant internal backlinks and so as links are very important they won’t be seen as important by the search engines. Put another way if you only send one unimportant link to a web page on your website why would the search engines like Google believe it’s an important page and rank it highly! Reality is you can put your webpages as deep as you like as long as they are linked correctly: try to go for no more than 2 clicks from the home page, 3 at the very most for large sites and if in doubt Google XML sitemap. To decide how to organize directory structure (in a CMS like WordPress this would be dealt with via Categories) take a look at your sites content, can it be broken down into various sections/niches based on helpful keywords? If it can you should consider it, since the keywords within a directory name (if done correctly) can help a pages SERPs. For example all of the SEO Tutorial pages could be within a directory “seo-tutorial”; domain.tld/seo-tutorial/. They would all benefit from the keywords tutorial and seo since the major search engines take the domain name, directory and file names into account as long as you use hyphens (-) as keyword separators. If you haven’t already read the why hyphenated domain names (linked earlier) you might want to take a look now. In summary when naming directories etc… use hyphens (-) NOT underscores (_) or multiple words together (seotutorial would NOT make a good SEO friendly directory or filename, seo-tutorial is better). By putting your webpages in the right directory you give them a small boost without even trying. File names work the same way, which is why we use descriptive file names where possible like domain.tld/seo-tutorial/website-optimization/ for this page (if I used directories: I use WordPress, so not really an option). This page would be given a small boost for the following keywords from the directory and file name (seo tutorial website optimization). Remember use hyphens (-) as a separator not underscores (_) since the latter is not a word separator to the search engines. As a WordPress user the above is possible via WordPress permalinks settings, but it’s a sitewide setting, so you can’t choose to add some WordPress posts to the above directory structure and others not. Since the URL SEO benefit is based on the entire URL and I want this webpage to rank high for SERPs related to “WebSite Optimization” far more than for SERPs related to “SEO Tutorial” having all webpages load in root makes more SEO sense. Google reads the URL from an SEO perspective as “http stallion theme co uk website optimization”, the URL SEO benefit is spread over the 7 words and only two of them are really helpful for SERPs targeted by this web page (website and optimization), each keyword receives 1/7th of the URL SEO benefit. Now we have 9 words “http stallion theme co uk seo tutorial website optimization”, the two important keywords website and optimization gain 1/9th of the URL SEO benefit. We would also gains a URL SEO boost for phrases like “SEO Website Optimization” and “Website Optimization Tutorial”, so it’s a choice between targeting the main SERP or targeting the derivatives as well. Which has the exact same URL SEO benefit as the /seo-tutorial/ directory option. Quick SEO Tip – when deciding on directory names either use single words or multiple keywords (like the /seo-tutorial/website-optimization/ example) separated by hyphens (-), do not use underscores (_) (i.e. “domain.tld/seo-tutorial/” is good “domain.tld/seo_tutorial/” is bad also bad “domain.tld/seotutorial/”). How you organize your web site is very important to SEO, if organized correctly it will feed link SEO benefit through the site to the most important pages giving them a better chance of obtaining higher traffic SERPs. 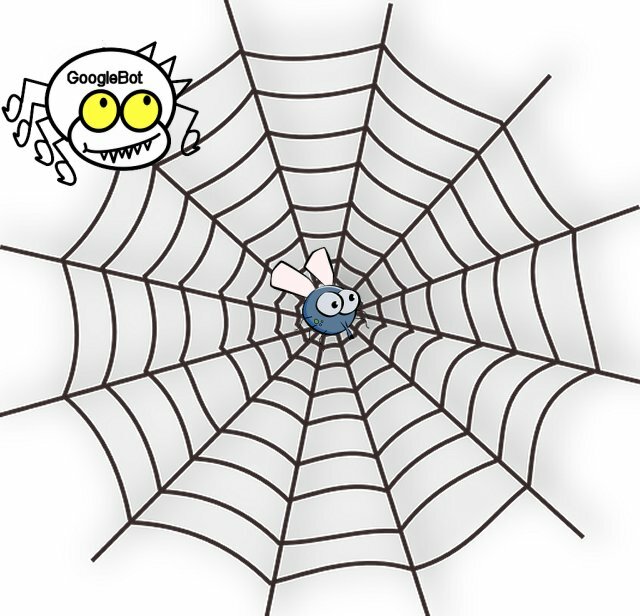 If poorly organized important sections of your website may be completely over looked by the search engine spiders! There are two basic site structures, completely interlinked (all webpages link to all webpages) and a hierarchy (pyramid type structure with the index page at the top). Realistically this structure can only be achieved for relatively small websites since every web page links to every other page. If you have a 250+ page website it looks a mess to link every webpage to every other (250+ links from every page, eek!!) and it is not advisable for SEO reasons either. This brings us to the question when should a website be completely interlinked? Difficult to give a clear cut answer since there will be small sites where interlinked is not suitable. A very general SEO rule would be above 100 pages and don’t interlink, below 30 pages interlink completely. This leaves a huge number of websites between 30 and 100 pages where interlinking may or may not be a good idea. To decide if interlinking is a good idea look at the anchor text of what the links will be. If most of the links are of a similar theme/niche (anchor text wise) it’s probably a good idea to interlink. Look to see if the anchor text will improve the general website optimization of most webpages of your web site. If you have a site that almost every page is about a similar subject (uses similar keyword phrases), for example, if one page is about WordPress Anchor Text SEO another about Anchor Text SEO and a third about Link Anchor Text Optimization you can see having each link to one another will help with SERPs related to Anchor Text. You want all these pages to link together in someway, the easiest would be to interlink via a menu, best way is via contextual links: add the links directly within the main content. We’ve dealt with small websites, now lets consider larger sites. There are a lot of ecommerce sites selling thousands of products. Most have a hierarchical navigation system where the home page links to the most important store department type pages (listing multiple products) which then link to individual products. Large information websites are similar, with WordPress the home page links to all Categories which link to the individual articles (WordPress posts). You might have a website with 40 department/category pages (linked from every page of the site via a menu) each listing 10 products/articles each, which link to those 10 individual product/article pages which is what some SEO’s called link silos. With this example we’d have roughly a 440 page website: 40 department/category webpages and 400 product/article webpages, 440 links from every webpage would be a bit over the top links wise. The above would be a very good structure for that type of website, not an excessive number of links per page (averaging around 50 unique links per page) and those very important department/category pages gain a sitewide set of 440 links each since every webpage links to them. This would share the PageRank SEO value equally through the website as well and generate a weak silo SEO link structure. How far can this website navigation model be stretched, how many webpages? It depends on numerous factors including the sites design/look, how many department/category type pages there are how many products/articles there are etc… but eventually a website becomes so big this website structure doesn’t work, you might not be able to get the number of links on the menu you’d like or you might have a really large site with hundreds/thousands of department/category type pages. In these cases you’ll need to build smaller webs of pages. Lets look at a an enormous site like amazon.com which is a dominate online shopping mall. 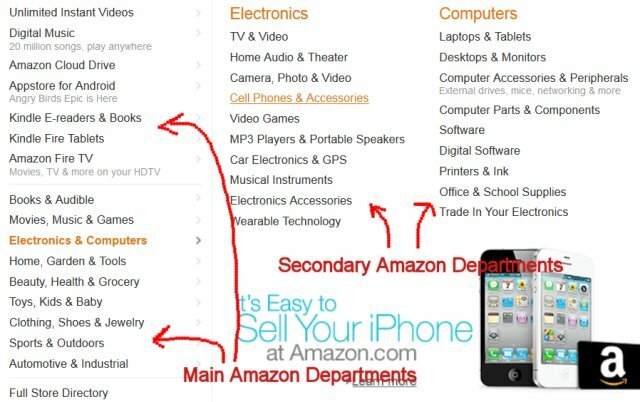 You can see more information about Amazon SEO at my Amazon SEO check guide. Amazon has millions of products for sale over tens of thousands of what we are calling store department pages. There is no way it could have all the department pages on one menu!! What Amazon has done is break it’s inventory into related niches (silos): about 16 main niches (main departments/silos), further broken down into at least another 150 niches silos (secondary departments). Each niche section is like a website in itself with a link to the main sections. So there’s a Book section, Software section etc… By breaking the website up this way they have been able to keep the basic hierarchical navigation structure for each section where the main page links to the important department pages which in turn link to deep product pages. Why use a Hierarchical Website Structure? Now that we’ve seen the basic hierarchical structures available, why do we want to emulate them? For most websites the home page (main page) is the most important (it tends to have most links to it, highest PR), it will probably be optimized for the most important search engine phrases. The same tends to be true for the department/category pages, they deal with the general niches of your site, it’s theme. The department/category pages will tend to focus on the higher traffic SERPs, while the deep product pages or articles will tend to focus on more obscure lower traffic SERPs. The search engines (Google in particular) determines relevancy of a webpage for a given SERP not only due to the content of the page, but also the backlinks to that page (the anchor text of the links). This website has over 3,000 pages indexed as of June 2014, every page has the same header, sidebar and footer, so all of the 3,000+ indexed webpages link to this page with the anchor text WebSite Optimization** This suggests to Google etc… this webpage should be ranked highly for WebSite Optimization. ** I develop an advanced SEO WordPress Theme which varies the anchor text of the menu links, so this pages menu links will use 6 derivative versions of the main SERP for anchor text: WebSite Optimization, SEO Tutorial – WebSite Optimization, Web Site Optimization, WebSite SEO and Search Engine Optimization. The anchor text used changes depending upon which part of the site you are on, this feature is to make the most of the latest Google Hummingbird algorithm update. Also in August 2014 added an update to the SEO package I develop which makes link siloing easier, the sitewide link to this post no longer exists, only some webpages link here now from the sidebar. When thinking about individual SERPs, yes because more links to a webpage, more likely it will do well. However we have to think of the website as a whole. If we added every link we could from every webpage we own it’s going to mess with the optimization of the content etc… of individual pages. You could for example add 100 links from a footer with small text and it won’t look too bad, but that won’t only have an SEO benefit on the 100 linked webpages, it will add 100 lots of anchor text to every webpage. Will all that anchor text help every single webpage? Probably not, most larger sites are quite diverse and so the anchor text of the links is also diverse. 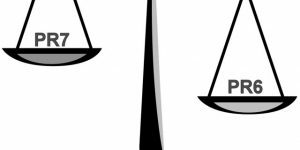 It’s an SEO balancing act between helping each webpage of the site gain SEO benefit via links, links so Google and other search engine spiders can find them etc… and not adding too many unrelated links to the content. This website is mostly about WordPress SEO themes and SEO plugins, search engine optimization and making money online, but I also cover some product reviews and off topic articles. The article you are reading now is part of an SEO Tutorial, do you think linking from this article to a page about How to Be a Billionaire will help with Website Optimization SERPs? I recently wrote an article about a local small business website design, this is a good article to link to from this webpage because the anchor text includes WEBSITE. That’s not to say NEVER link to unrelated content, the entire website needs indexing by Google, so you’ll note within the footer of this site all the categories are linked to (one is called “Off Topic Blogging”, the anchor text doesn’t help this pages SERP). The top navigation menu has two SEO Tutorial article series, one “WordPress SEO Tutorial” and the other “SEO Tutorial”, those will both help this webpages SERPs, but won’t help with the webpages about making money online. Enjoy the SEO balancing act, it’s a lot of fun! excellent seo tips. as with everything, keep things simple and safe. – KISS. Excellent content and great advice from the Author. Very useful tips for beginning SEOs. What are the SEO implication thereof? How will Stallion influence the overall performance? 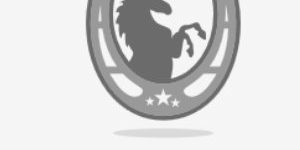 Will I treat Stallion as a separate “SEO entity”? Does it even matter anymore? My question here is: If you are asked to make a choice, why doesn’t Google treat both possibilities as equals or “synonymous”? See SEO Tutorial for general SEO advice. Lots of information there. How do we make this h1 instead of h2? It looks like on the home page it shows h2, but on the post URL page it shows h1. Why is that? That would remove some of the built in onpage SEO of Stallion. H* headers are optimized, changing them is generally not a good idea. It’s generally believed one H1 header per page is best for onpage SEO reasons and you’ll find that’s what you get on every page Stallion generates unless you manually add H1 headers within a Posts content. If you do want to change the output on the home page archives the files to edit are content.php and content-*.php if you use the Post types like Gallery, Aside etc….